Download Manager has been launched by Microsoft finally. It has been designed to provide users to download files from the internet faster and with pause/resume capabilities. I always thought that there should be a download manager included in Internet Explorer like there are basic download managers in Mozilla Firefox and Google Chrome. Now that Microsoft has released their version of download manager, I’m a little disappointed with it as it’s as basic as the basic download managers included in other browsers. It has an option to pause/resume the download and delete the downloaded file. 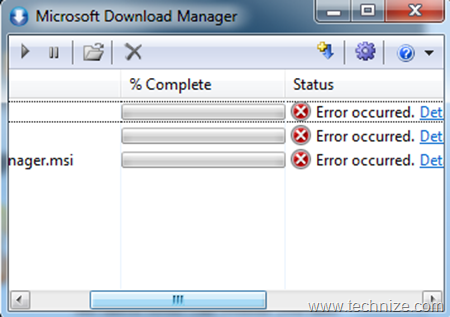 One good option in Microsoft Download Manager is that it allows us to define the number of simultaneous connections and the number of tries if the download fails. It also lacks the support for advanced protocols and authentication types. I hope Microsoft will improve their software in the future.